A flash – back to Crete’s ancient history and Minoan Civilization as well as the spiritual strength which made Crete famous all over the world. Visit Europe’s first Palace and enter the spirit of the myths. 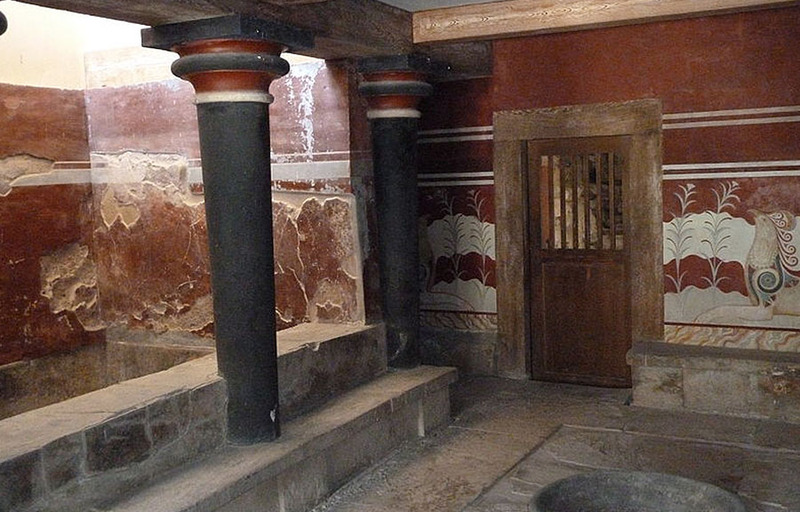 Walking around the narrow corridors of the labyrinth construction you’ll have the opportunity to see all the samples and symbols of the progress and culture developed in Crete 4000 years ago as well as feel the mystical evidence of the Minoan grandeur. According to legend, it was the seat of King Minos, son of Zeus and Europa, and the capital of his state. 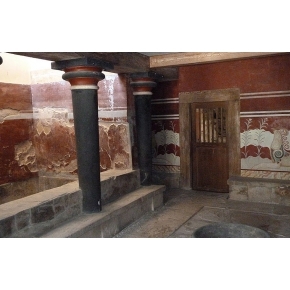 The palace of Knossos is associated with the exciting myths of “the Labyrinth and the Minotaur” and “Daedalus and Icarus”. Located 5 km south of Heraklion Town, a visit to this site is an absolute must when travelling to Crete. It’s one of the most famous archaeological sites in the world that was discovered in the late 1870s by Minos Kalokairinos and it was excavated by Sir Arthur Evans.